The UNESCO “Training the Trainers in Information Literacy” Workshop hosted by the Department of Information Management & Faculty of Education of Hacettepe University took place in Ankara, Turkey, from 3-5 September 2008. 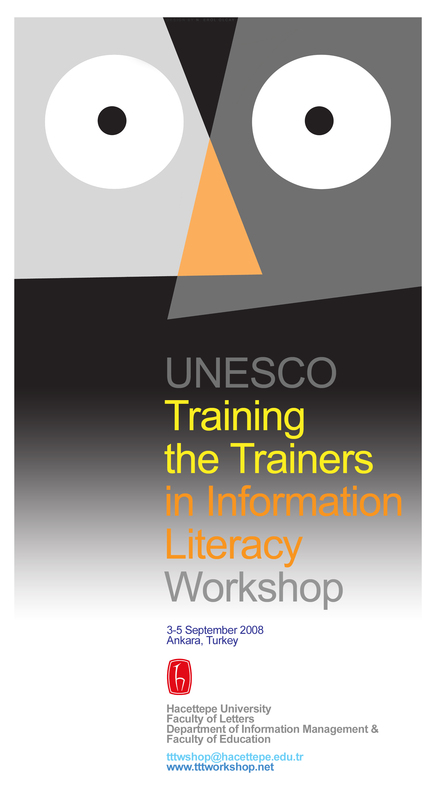 This workshop, as part of a series of 11 workshops covering all regions of the world, aimed to provide Information Literacy instructors with specialized, authoritative, comprehensive and up-to-date training knowledge, and bring them together to discuss and share information on current issues. The workshop lasted for two and a half days and was composed of 19 sessions including the opening, plenary and closing sessions. The workshop included group work, and was facilitated by expert presenters. Seventeen countries were represented at the workshop by 48 participants. Workshop participants represented varies types of libraries, educational, cultural and research institutions, library associations and networks, municipalities and ministries. A Certificate of Completion was awarded to workshop graduates who successfully completed the workshop. Data provided from the evaluation forms and participants’ comments indicated high level of satisfaction. Final report of the workshop is published in the December 2009 issue of the The International Information and Library Review.